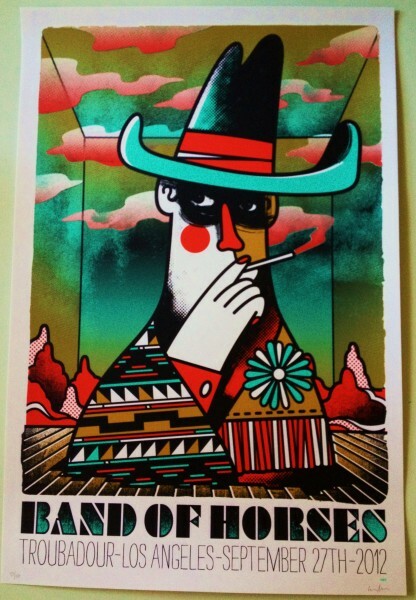 Speaking of Bon Iver’s phenomenal concert earlier this year at the Santa Barbara Bowl, in case you missed it Bowery Presents has made available Bon Iver’s recent tour-closing (band-ceasing?) show at NYC’s Radio Music Hall. If you don’t have time to check out the entirety, at least check out the medley of Perth and Minnesota, WI below. As hard as it is to imagine, since our Bowl show the band continued to further perfect their sound and Justin Vernon’s falsetto, as usual, leads the way out of the darkness. Beauty. 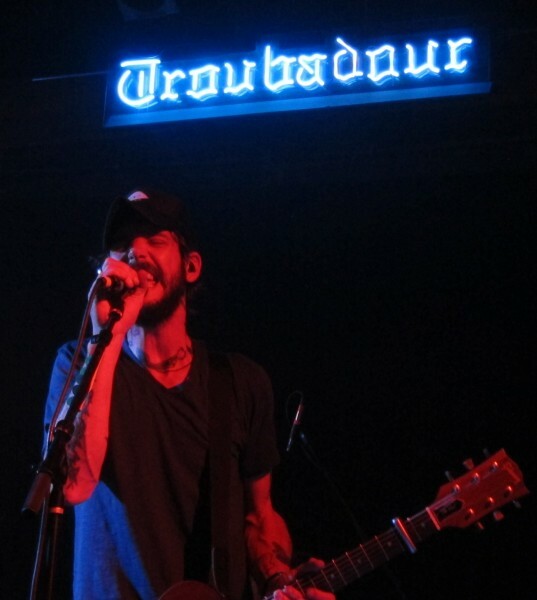 We ventured down last night to the hallowed Troubadour in LA for an intimate Band of Horses show that closed out this leg of their tour. Having tried for close to a decade to catch these favorites, we had never been able to sync up our concert cantors with this great rockin’-country band. This has been a bountiful year for quality concerts (Radiohead and Bon Iver at the SB Bowl, My Morning Jacket/Iron & Wine at the Wiltern, etc. 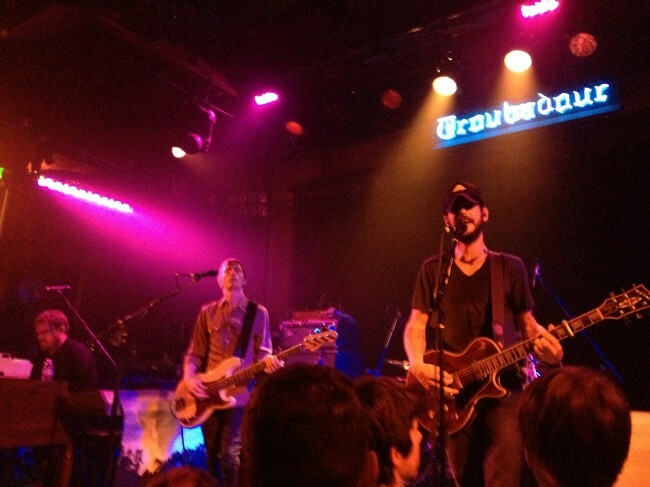 ), but the un-reined Band of Horses proved last night why they are amongst the best live bands in America in any category. Band of Horse’s lead guitarist, Tyler Ramsey (above), opened with a captivating set of high, lonesome picking and singing. If you haven’t heard Ramsey, he has released several solo recordings, all well-worth seeking out, and especially his last album The Valley Wind (released a year to the day from last night’s show). You can listen to the title track and another at his site linked above, or below. Ramsey is a subtle guitar virtuoso whose songs are poignant and well-crafted, and whose vocals lean towards young Neil Young (all good at Chez Lefort). 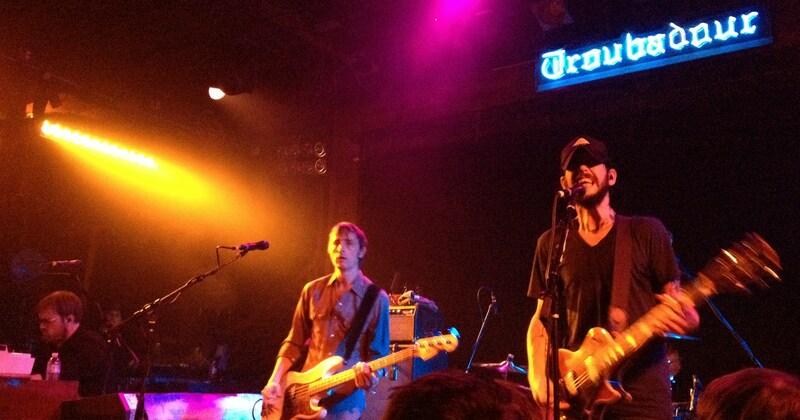 Ramsey brought out Band of Horses’ Ben Bridwell to add dynamic harmonies as they closed out Ramsey’s set with a sterling cover of Jules Shear’s (no mention of Cyndi Lauper, who made the song famous) All Through The Night. Check out the duet on the song after his song below. After a short break, Band of Horses hit the stage champing at the bit to show all in attendance that they can throttle and rock a stage like few bands in America can. They wasted no time staking their claim to tonight’s trifecta, opening with their anthemic rocker Knock Knock off of their superlative new album, Mirage Rock. For a feel, check out below a recent performance on Conan (never mind the sound quality, just check the band’s energy). Throughout the night Band of Horses riled up the crowd with their relentless attack. Ben Bridwell’s otherworldly vocals were rightly in the spotlight–we marveled at his unerring ability to rip those stunning vocals out of his slight, sinewy body. And the other members galvanized with their playing and harmonizing. 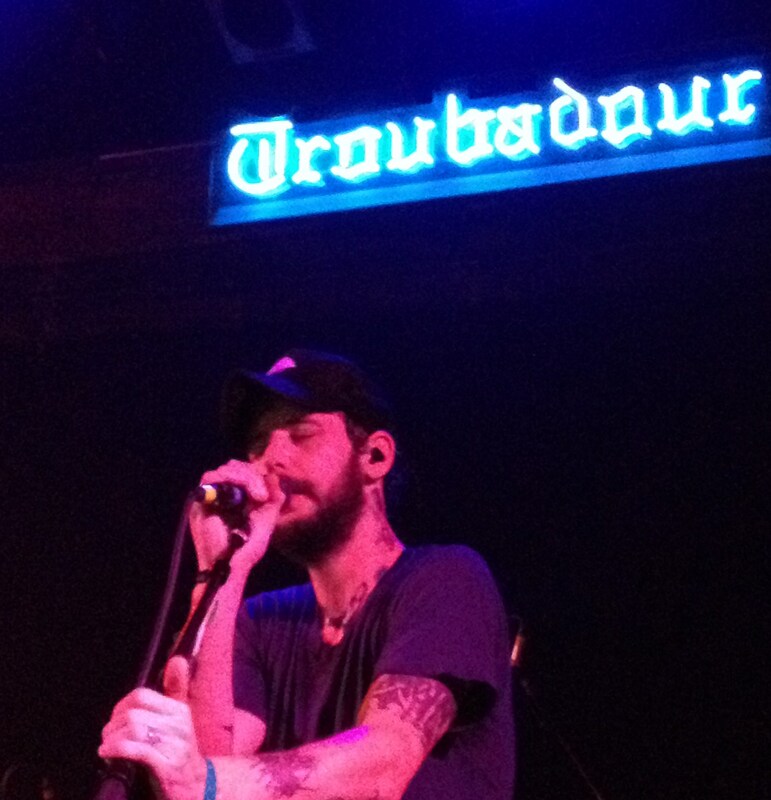 Ramsey’s and Ryan Monroe’s evocative harmonies added justly (though they could have been turned up a bit). The band also knows its powers and when to rein in the rock and let their softer side shine. They vacillated between power and poignancy with aplomb. 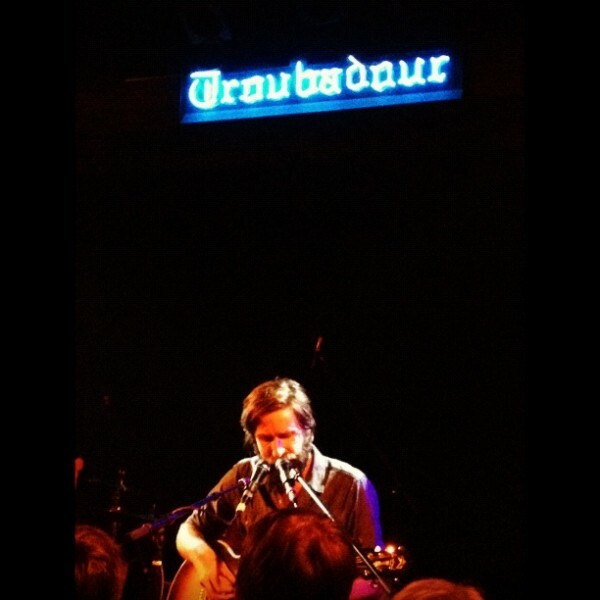 Many in the audience sang along, and a few shed a tear or two along the way. 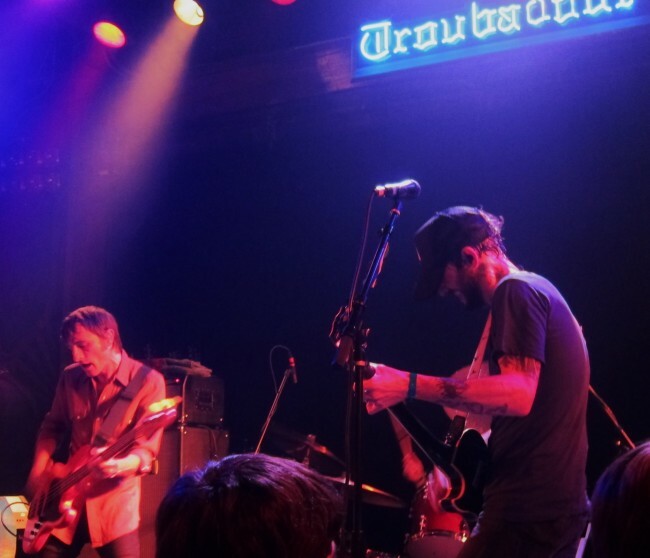 Band of Horses has found their audience thanks to their dynamic songwriting and oblique lyrics that nonetheless manage to reverberate and resonate with their fans. On the new album and throughout their show, LA’s ’70s country-rock influence wafted over the proceedings, with homage being paid to such scene stalwarts as Gram Parsons (they covered Parson’s superb Song For You for recently married friends in the audience), The Eagles (the riffs in new song, Electric Music, are genuflections to the Eagles’ Already Gone and to Parson’s pal Keith Richards), and Neil Young (they closed the night by covering Young’s powerful anthem Powderfinger). Early on in their set the band played like there was no tomorrow, with band members maintaining the din between songs while the other members prepared to rip into the next (Knock Knock, NW Apt., Is There a Ghost and The Great Salt Lake were played without a pause). Bridwell and Monroe seemed to particularly enjoy the pounding vernacular. As the evening rolled on, the band played most (if not all) of the crowd’s favorites, rendering stellar readings of Infinite Arms, No One’s Gonna Love You, Detlef Schrempf, Laredo, Ode to LRC and, of course, “fake-last song” Funeral, which ended their main set and which you can see/hear immediately below from the Troubadour. For the encore the band came out and played a beautiful new acoustic song, Slow Cruel Hands of Time, off the new album, followed by a lovely No One’s Gonna Love You. And then, citing an impending Central Park concert headlined by Neil Young, they closed out the night by lighting the powder-keg with an emphatic, blistering cover of Young’s Powderfinger. It was a perfect end to a powerful evening of music. Check out the setlist and the show poster below. We’ve got a music hangover (more about that later) and are a little slow on the quick-draw this morn. Grizzly Bear has released the official video for Yet Again one of the best songs off of their infectious new album Shields. Ice Skater Alert: all you ice skaters training for the Winter Olympics might want to sit this one out. 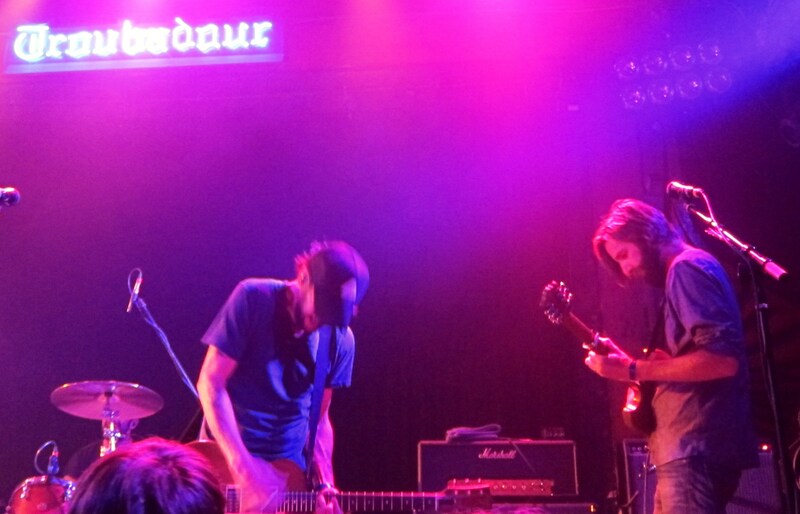 Band of Horses are riding ’round the circuits in support of their new album, Mirage Rock, and its rock finery. Watch them below perform Electric Music (with its Glyn Johns-induced homage to ’70s Eagles‘ and Stones’ riffs), and love song, Long Vows, off the new album, and then Laredo off of their last album, Infinite Arms, and all unplugged for 98.7 FM Sessions. 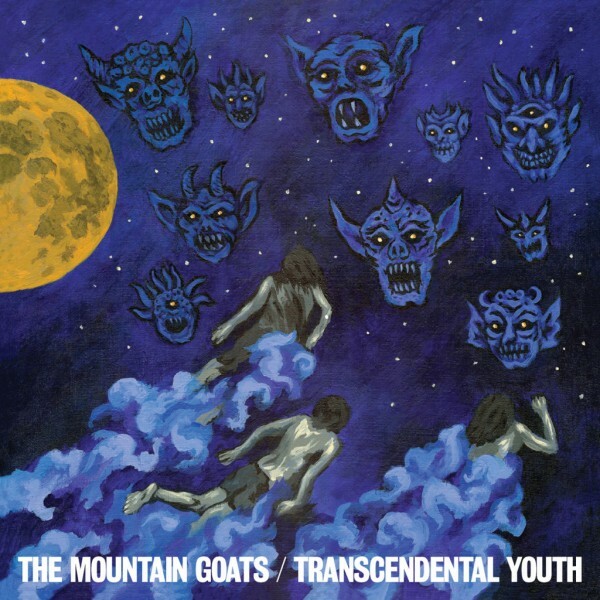 The Mountain Goats have climbed to even higher heights on their new album, Transcendental Youth. While John Darnielle’s songs on the album brim with his usual brilliance, new ranges are explored and new sounds added to elevate and illumine the songs. With its superb songwriting and embellished sounds/instrumentation, last year’s All Eternals Deck was one of the Best Albums of 2011. But Transcendental Youth adds Matthew White’s transcendent horns to the mix for even more emotional hue and heft (just listen to tracks White Cedar, In Memory of Satan or Transcendental Youth for a feel). (White has ventured out solo after Fight the Big Bull, and will be the opener on The Mountain Goats‘ tour this fall.) Transcendental Youth will be released next Tuesday (10/2) on Merge Records. Until then, you can stream it at Rolling Stone. The band’s tour dates are below. Last night Animal Collective appeared on Conan to perform their superb new song Today’s Supernatural. Check it out below, followed by another version of the song (via Pitchfork) performed in hometown Brooklyn last summer. We personally prefer the latter, but grant the tour-grind impact. Last night Feist’s Metals album won the annual Polaris Award given to the best album by a Canadian artist (a major laurel given the caliber of music coming out of Montreal, Ontario and other environs). While she was up against worthy opponents such as Kathleen Edwards (Voyageur), Japandroids (Celebration Rock), Handsome Furs (Sound Kapital) and Cold Specks (I Predict a Graceful Expulsion), Metals is a quantum leap above all the other candidates’ offerings, and above most of its worldly competition. 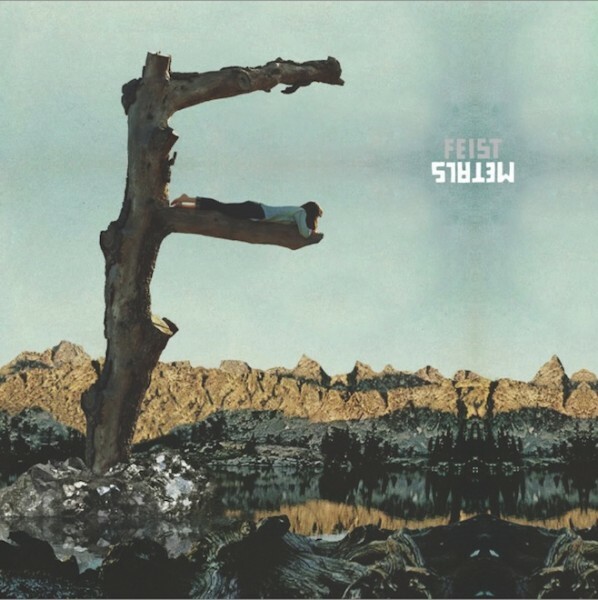 If you don’t “get” Feist, we highly recommend you watch some of her recent performances and delve deeper into the Queen of Canadian Music’s outstanding oeuvre. Today would have been the 80th birthday of groundbreaking Canadian pianist Glenn Gould, best known for his inventive interpretations of Bach compositions, and particularly the Goldberg Variations. Gould’s unique technique, his posture at the piano and his need to sing while playing (Keith Jarrett anyone?) all set him apart from other pianists. The eccentric Gould died in 1982 at the age of 50. Check out multifaceted, Canadian keyboardist, Chilly Gonzalez, as he pays homage to Gould on his 80th birthday. Mumford & Sons showed up recently in the SiriusXM Studios to perform their new song Whispers In The Dark from their new album Babel. Check it out below. While we remain fans of the band (particularly live), and these new songs aren’t bad, we’re still waiting to hear something fresh and evolutionary on the new album to capture our interest anew. ‘Cause listen up sons and brothers (same advice for the Avetts): there are others that are coming for you if you merely play the same song without abducting our hearts and/or minds. Animal Collective is animating musical invention, Grizzly Bears are giddily prowling, Atoms of Peace are radiating on the horizon, and Buellton is rumored to be on the verge of releasing its sophomore effort over a decade after releasing their debut album. And frankly, our listening life is short. Band Of Horses has recently released its album, Mirage Rock, which was produced by Glyn Johns, the heralded producer who has helmed the boards on albums by ’70s rock stalwarts The Eagles, The Rolling Stones, The Who, The Band and countless others. For another take on their Eagles-esque Slow, Cruel Hands Of Time, check out this stellar version performed at WNYC’s Soundcheck studio, and then go to WNYC to listen to two other songs (Older and How To Live) and a trivia contest with the band.